The hotel can arrange your entry permit for the Caminito del Rey so long as you stay there at least 1 night… MAKE SURE WHEN YOU MAKE THE HOTEL BOOKING YOU STATE THIS IN THE OPTIONAL MESSAGE AND SEND THEM THE PASSPORT DETAILS OF EVERYONE IN YOUR GROUP. However if you are just passing through then this is also a wonderful place to stop for lunch after you have walked the Caminito del Rey or (if you have no head for heights 🙂 ) just admired it’s beauty. 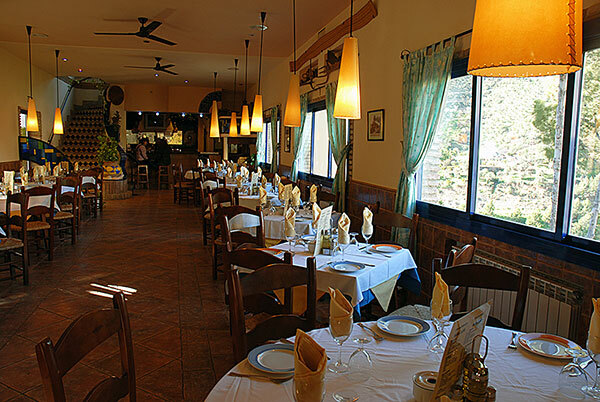 The Restaurant serves a wide and varied cuisine using high quality local products and is set on the ground floor of the complex. It features a cozy country-style lounge and a truly spectacular terrace with panoramic views of the surrounding stunning scenery . The Hotel complex is also running a permanent exhibition on the history of the Camino del Rey, train lines and tunnels and the Guadalhorce dam constructions. Hello ………….. we are planning to go to the El Caminito del Rey in early September. 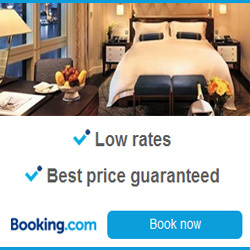 What is the cost per night for 2 persons one room. AND, how do we get to your hotel ….. by train ? We are USA citizens and will be making our way south from Granada. Can we ride the train from this location to your hotel or do we need to rent a car.